Reblocking Melbourne. At Underpinning Melbourne, we know that reblocking your homes is one of the most maintenance-intensive and tricky projects you can do around the home. This article is designed to give you an overview of what reblocking entails and what you need to consider. Reblocking is the process of replacing old material stumps on a house that uses subfloors as a basis for its building foundations, with new, enhanced stumps. It’s great to have an idea between between Reblocking and underpinning. To give you an idea of the reblocking process, we have put together a step-by-step guide to what most reblocking companies in Melbourne consider best practice. Protect yourself with reblocking insurance. Home and contents contracts may cover you for a partial cost in reblocking your home, especially if structural damage has already occurred. Visual inspection of house stumps. This is where reblocking advice begins. Before you engage a full reblocking team in Melbourne, a visual inspection of the stumps is best advised. In this step, a professional reblocking engineering team digs into the soil next to the stumps to examine the condition of the wood, concrete or steel. Using this inspection, reblocking professionals can advise you if you need a complete rehaul of your stumps, of if it just requires realignment of your existing stumps. Reblocking process. Qualified reblocking professionals in Melbourne will replace your existing stumps. These will be either wood, concrete or steel, and may have decayed significantly. Most modern reblocking companies then provide new stumps of concrete or steel that can last up to 25-80 years! Reblocking report. You will receive a copy of the reblocking report, written by the reblocking team in Melbourne. This is your guarantee against any new reblocking for at least 25 years. As mentioned above, reblocking is a renovator’s nightmare. We recommend a professional reblocking services company to take it on for you. That’s where we can assist you. Reblocking time will vary, but most work can be done in under a week. Modern stumps last a long time (up to 80 years), but the average is 25 years. This means you should engage a reblocking company to do a visual check up every ten years or so, or do one yourself. 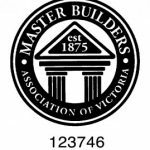 Reblocking, Reblocking and underpinning work Melbourne. Underpinning Melbourne is a professional name providing its customers with any kind of underpinning and reblocking service anywhere in Melbourne. We have experience of around 20 years in the field of underpinning. Our qualified contractors work round the clock to offer you their services. We utilize the latest machinery and tools to make sure you get the best reblocking service you require. We believe in providing 100% customer satisfaction and always deliver the best quality in our services. Underpinning Melbourne offers very affordable reblocking service to save you money and offer fast and effective results in no time. Interested in engaging a professional reblocking company in Melbourne to assist you with checking and replacing decaying stumps? Call us today.